Desai Electronics Pvt. Ltd. (DEC), is a manufacturer of Plastic Film Capacitors, based at Pune, India. DEC has organically grown from an installed capacity of 0.5 million nos. per annum in 1980 to 400 million nos. per annum today. DEC manufactures Plain and Metallised - Polyester and Polypropylene capacitors used in the electronics industry for Fan Speed Regulation, DC Link, Snubber, Induction Cookers, EMI/RFI (X2, Y2), Appliances, Lighting, Energy Meters, Automobiles, Instrumentation, Power Electronics, Telecom etc. DEC is the first Indian manufacturer to get UL certification for X2 capacitors. The Quality Management Systems are certified under IATF 16949:2016 and ISO 9001:2015. All its capacitors conform to IEC 384 and are RoHS compliant. DEC markets its capacitors directly to OEMs and through a network of distributors all over India. DEC has been an undisputed market leader, in capacitors for fan speed regulation, for over fifteen years. DEC has a state-of-the-art manufacturing, testing and R & D facilities. The growth of DEC is attributed to its deep knowledge of the capacitor technology. 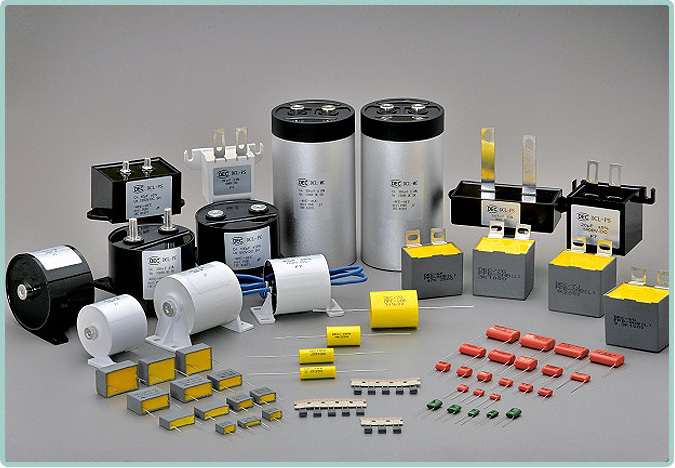 DEC designs and manufactures the entire plant and machinery required for Plastic Film Capacitors. DEC is known for its consistency and reliability in quality. DEC enjoys high credibility amongst suppliers and customers in India as well as internationally. Along with success in business, DEC is actively involved in bettering the lives in the rural areas surrounding its factory, through its corporate social initiatives. ©2008 Desai Electronics Pvt. Ltd. All rights reserved.